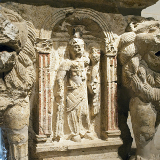 Beirut is the historic and cultural capital city of Lebanon. Nicknamed the “Paris of the Middle East” Beirut’s romantic café culture has made it an art and intellectual hub in the region. Its location on the Mediterranean Sea has drawn in Greek, Roman, Arabic and Ottoman cultural influences evident in its architecture and lifestyle. 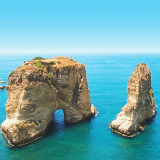 Cheap flights to Beirut are now available for a limited period of time, so book your flight today and experience the historic wonders and cosmopolitan culture of this Mediterranean city! Beirut is home to Beirut–Rafic Hariri International Airport (BEY), located 20 minutes from the city centre by car. 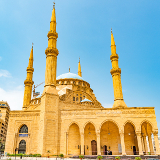 Renowned for its eclectic mix of European and Arabic architecture, Beirut is both modern and traditional in design, reflective of its cosmopolitan culture. 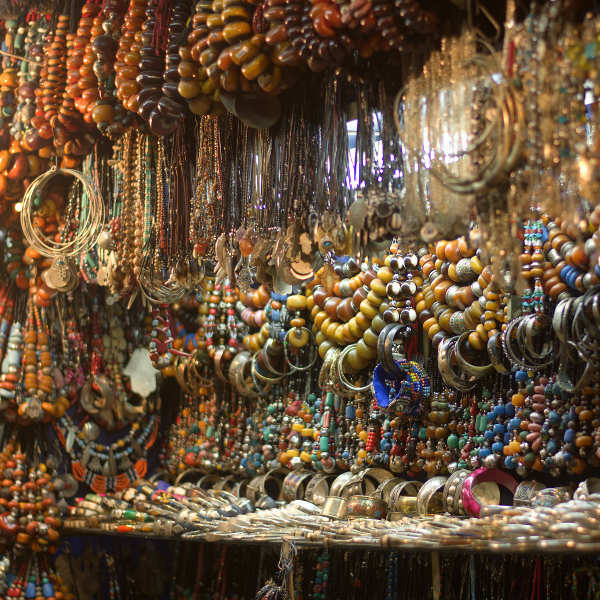 Beirut’s unique and vibrant culture is evident in its thriving art and design scene. Art galleries, cinemas and Parisian- style coffee shops are tucked away in every corner. Film and art festivals regularly take place in the city centre. Beirut has a hot Mediterranean climate, and experiences mild, rainy winters and hot, rainless summers. Winter in Beirut occurs from December to March, and these are the coldest months. Summer in Beirut runs from June to September, and is peak season for tourists. The ideal time to visit Beirut would be either during spring (April to May) or autumn (September to November). These seasons do not experience the same intensity of heat that Beirut summer does, and there are fewer tourists around. If you don’t mind a bit of rain, book a trip for winter time and take advantage of the low-season specials that hotels offer! Beirut is the sophisticated and cosmopolitan capital city of Lebanon, located on the Mediterranean coast. Nicknamed the “Paris of the Middle East” Beirut is known for its European architecture and outdoor café culture that spills out onto the streets. Beirut’s development under varying cultures such as the Greeks, Romans, Arabs and French are reflected in its eclectic and unique architecture. 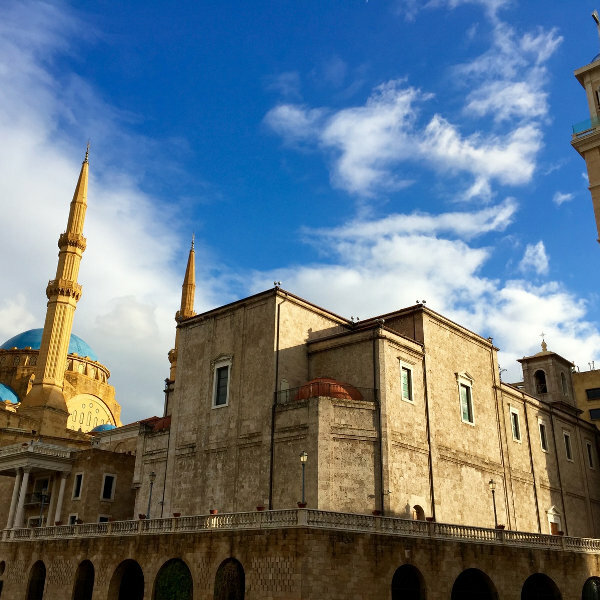 A proudly multinational city, Beirut’s population consists of a range of nationalities with varying religious backgrounds. Ornately designed Muslim mosques and Christian churches are dotted around the city. Visitors will be left breathless after seeing the Rock of Raouché, the incredible natural rock formation protruding out of the Mediterranean Sea! Compare several airlines and book your cheap flights to Beirut online at Travelstart! South Africans do require a visa to enter Lebanon. Leave plenty of time for visa processing. Ensure your passport is valid and will remain valid for at least six months after the intended duration of your stay. Leave at least three passport pages blank for visa stamp. There are no mandatory vaccinations required for entry into Lebanon, however visitors are encouraged to ensure they are up-to-date on all regular vaccinations (MMR). Medical treatment in Lebanon can be extremely expensive, so it is advised to take out travel health insurance before finalising your trip. Beirut enjoys a relatively low crime-rate, however visitors are encouraged to take the usual precautions when visiting. Keep a close eye on your belongings, particularly in busy areas like hotel lobbies and bus stations. The city streets are safe to walk during the day but do not walk the streets at night. There have been incidences of armed robberies and attacks on passengers using shared taxis, either by other passengers or the driver. Do not use shared taxis, and only use taxis from recognised companies. Speak to your hotel about reliable and safe taxi companies, or arrange shuttle transport directly with the hotel. 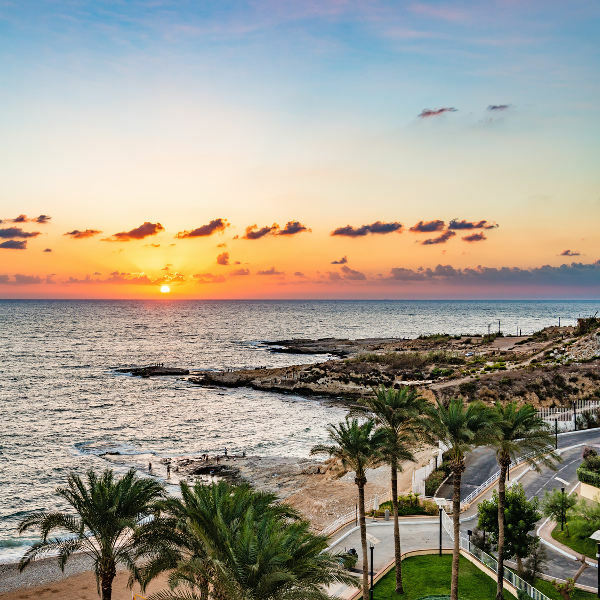 Beirut is a city that loves welcoming visitors and this is most evident in the colossal selection of accommodation options for travellers of all budgets. You will find everything in Beirut, from high-end hotels to budget hostels, to luxurious rental apartments, to cosy bed-and-breakfasts. Visitors looking to get that authentic Lebanese experience should choose accommodation in iconic Achrafieh, one of Beirut’s oldest neighbourhoods. Characterised by winding, narrow streets filled with street vendors, souvenir shops and restaurants, this little piece of the old city will give visitors a wonderfully genuine stay. For those looking for a slightly younger and more lively neighbourhood, Monot Street offers trendy jazz clubs, bars, restaurants and coffee shops. Nearby accommodation is ideally suited for youth travellers and young couples seeking to experience Beirut’s lively nightlife. The quickest and easiest method of getting around the city is by taxi. There are two types of taxis in Beirut: regular taxis and servees (shared) taxis. As of late, shared taxis have become unsafe for foreigners to use due to mugging and robbery, so rather use regular taxis. Taxis in Beirut do not operate on meters, so tell your driver your destination and negotiate an agreed fare before getting into the vehicle. Ensure the taxi you get into is from a recognised cab company, as unmarked taxis are often scammers trying to overcharge tourists. Speak to your hotel about reputable taxi companies to use. The cheapest method of getting around is by bus. Beirut’s bus system does not operate on time tables and new buses appear every 15 to 20 minutes. Beirut’s buses are somewhat unusual as they operate on a “hail-and-ride” system. Stand at the side of the road and, as the bus approaches, wave to the driver who will stop at the next available point for you.